A proposed reclassification of hydrocodone combination products from schedule III to schedule II. After a thorough analysis of extensive scientific literature, review of hundreds of public comments and several public meetings, the FDA is recommending that hydrocodone combination products be reclassified to the more restrictive schedule. A boxed warning on ezogabine (Potiga) about the risks of abnormalities to the retina, potential vision loss and skin discoloration, all of which may become permanent. Use of the drug should be limited to patients who have not responded adequately to several alternative therapies and for whom the benefits of treatment outweigh the risks. The FDA recommends that patients have eye exams by an ophthalmic professional before starting the drug and every 6 months during treatment. If a patient develops skin discoloration, an alternative medication should be considered. A suspension of sales and marketing of ponatinib (Iclusig) due to the risk of life-threatening blood clots and severe narrowing of blood vessels. In the most recent clinical trial data submitted by the manufacturer, at least 20% of participants developed blood clots or narrowing of blood vessels. The FDA will continue to evaluate the drug and determine whether there are any patient populations in which the benefits may outweigh the risks. A labeling update and drug safety communication on low-molecular-weight heparin, including enoxaparin, regarding the risk of spinal column bleeding and subsequent paralysis after spinal injections, including epidural procedures and lumbar punctures. Placement or removal of a spinal catheter should be delayed for at least 12 hours after administration of prophylactic doses of the drugs. Longer delays (24 hours) should be considered for patients receiving higher therapeutic doses. A postprocedure dose should usually be given no sooner than 4 hours after catheter removal. A safety communication on the St. Jude Amplatzer atrial septal occluder (ASO) due to reports that tissue surrounding the ASO can erode and result in life-threatening emergencies that require immediate surgery. These events occur in approximately 1 to 3 of every 1,000 patients implanted with the device, the FDA warned. Removal is not necessarily recommended, but clinicians should educate patients implanted with the ASO to seek immediate medical attention if they develop symptoms such as chest pain, numbness, sudden weakness, dizziness, fainting, shortness of breath or rapid heartbeat. A recall of 1 lot of 1-g cefepime for injection USP and dextrose injection by B. Braun because the drug has been found to contain visible organic particulate matter, which may illicit inflammatory responses, both chronic and acute, and may be life-threatening. A voluntary field corrective for the Avance, Aisys and Avance CS2 anesthesia delivery systems due to a potential safety issue. 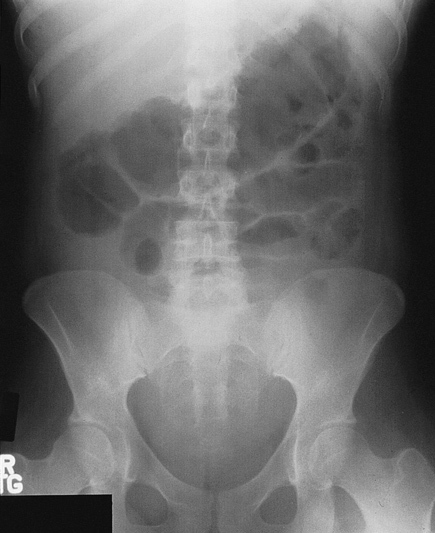 Clinicians may continue to use the systems but should be aware that a unique sequence of inputs and a collapsed bellow could result in delivery of higher-than-expected tidal volume. A recall of Nephron Pharmaceuticals' albuterol sulfate inhalation solution, 0.083%, due to unsatisfactory results from the manufacturer's aseptic process simulation to assure product quality. A recall of Bard LifeStent Solo vascular stent due to deployment issues, including failure to deploy, partial deployment and difficult deployment. This product may cause serious adverse health consequences, including bleeding, loss of limb, myocardial infarction, stroke, vascular surgery and death. Hydrocodone bitartrate extended-release capsules (Zohydro ER) for the management of pain severe enough to require daily, around-the-clock, long-term treatment and for which alternative treatment options are inadequate. The schedule II controlled substance is the first FDA-approved single-entity and extended-release hydrocodone product. Safety and efficacy were based on studies of patients with chronic pain, who showed significant improvement compared to placebo. The most common side effects were constipation, nausea, somnolence, fatigue, headache, dizziness, dry mouth, vomiting and pruritus. The drug will be part of the Extended-Release/Long-Acting Opioid Analgesics Risk Evaluation and Mitigation Strategy. Riociguat (Adempas) to treat 2 forms of pulmonary hypertension: chronic thromboembolic pulmonary hypertension (after surgery or in patients who cannot undergo surgery) and pulmonary arterial hypertension of unknown causes. Safety and effectiveness of the drug, a soluble guanylate cyclase stimulator, were established in clinical trials in which patients who used it these conditions increased their 6-minute walk distance an average of 46 and 36 meters, respectively. The drug, which received priority review, carries a boxed warning about use in pregnant women. Common side effects included headache, dizziness, dyspepsia, peripheral edema, nausea, diarrhea and vomiting. Macitentan (Opsumit) to treat pulmonary arterial hypertension. Safety and effectiveness of the drug, an endothelin-receptor blocker, were established in a long-term clinical trial (about 2 years on average) in which it was effective in delaying disease progression. It carries a boxed warning about use in pregnant women. Side effects included anemia, nasopharyngitis, sore throat, bronchitis, headache, flu and urinary tract infection. 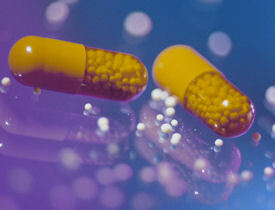 The first generic versions of rabeprazole sodium (Aciphex) delayed-release tablets to treat gastroesophageal reflux disease (GERD). Dr. Reddy's Laboratories Ltd., Kremers Urban Pharmaceuticals Inc., Lupin Pharmaceuticals Inc., Mylan Pharmaceuticals Inc., Teva Pharmaceuticals USA, and Torrent Pharmaceuticals Ltd. have received FDA approval to market generic rabeprazole. Triamcinolone acetonide (Nasacort Allergy 24HR) for over-the-counter (OTC) treatment of nasal allergy symptoms (nasal congestion, runny nose, sneezing, and itchy nose). It is the first glucocorticoid made available OTC for treatment of nasal allergies. It is a nasal spray indicated for use once daily. There are different dosing instructions for adults and children 12 years and older, children 6 to under 12 years of age, and children 2 to under 6 years of age. Bedaquiline (Sirturo) as part of combination therapy to treat multidrug-resistant pulmonary tuberculosis when other alternatives are not available. The drug is being approved under the accelerated-approval, fast-track, priority-review and orphan-product programs. It carries a boxed warning about the risk of QT prolongation and deaths in patients on the drug (9 on the drug vs. 2 on placebo). Approval was based on trial results showing that patients on the drug achieved sputum culture conversion in a median of 83 days, compared with 125 days on placebo combination therapy. Common side effects included nausea, joint pain, and headache. The FDA completed its phaseout of all inhaler medical products containing chlorofluorocarbons (CFCs) by Dec. 31, 2013. This effort is to comply with an international treaty to protect the ozone layer. While most inhaler products containing CFCs have already been phased out, 2 products remained on the market in 2013: Combivent Inhalation Aerosol and Maxair Autohaler. These products are no longer be available in 2014. Patients who use these inhalers should talk to their clinician about a prescription for an alternative treatment.